To maximize their profits, health insurers have been not only raising premiums but also intensifying efforts to contain their costs – restricting formularies, embracing utilization management practices and imposing benefit designs that shift the expense of medicines to patients. This approach impacts patients with chronic and complex illnesses, who depend upon advanced medical therapies to stabilize their condition and maintain normal lives. For many of these patients, finding the right therapy took a painstaking process of trial and error, which dragged on for months or even years. Their medical stability is hard won. Yet insurers may opt to sacrifice these patients’ stability by imposing non-medical switching, compelling them to abandon the effective therapy for a less costly alternative—for reasons unrelated to the patients’ well-being. These types of swithes come in a variety of forms. For example, some health plans price patients out of their chosen medication by placing the therapies on specialty tiers that require burdensome cost-sharing. 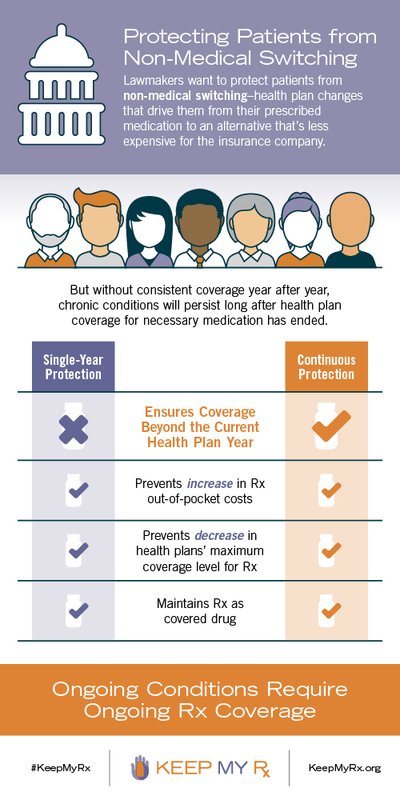 Other plans may simply eliminate coverage for certain medications. 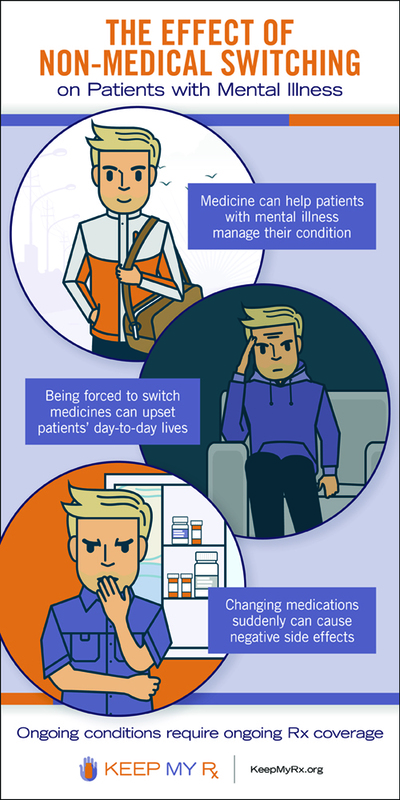 Non-medical switching not only ignores the process physicians and patients underwent to find a successful medical therapy, but it also disregards the impact of switching medications arbitrarily. 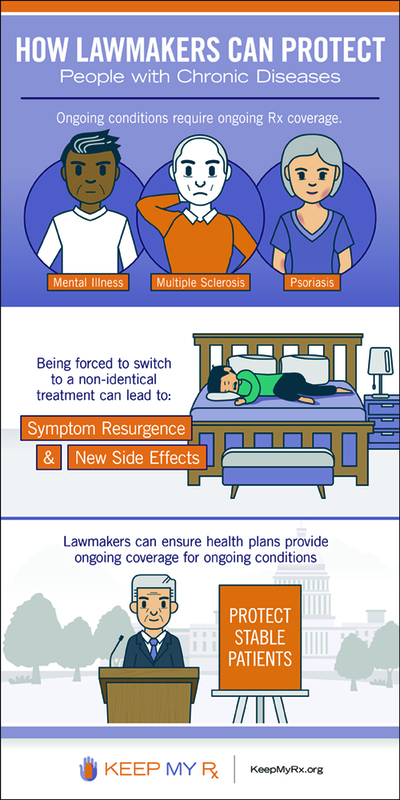 When patients lose access to the therapy that stabilizes their condition, they may also lose the ability to manage their disease, facing re-emerging symptoms and new side effects. Patients may require visits to the emergency room, additional appointments with their physician, lab tests and hospitalizations as a result—making the “less costly” alternative an expensive option for patients and insurers alike. With conditions for which few viable treatments exist, eliminating options can leave patients with dangerously limited alternatives. 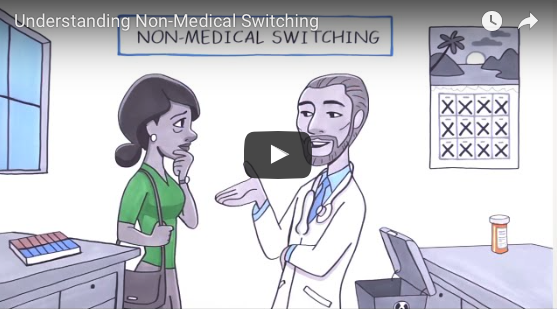 Restricting non-medical switching can protect not only patient health but also the physician-patient relationship’s role in guiding patient care.